Slangin that electro-soul flavor, The Fox Theatre was blessed last Friday with divine sounds from Daily Bread and Break Science. The night was filled with new tracks, heavy hitting favorites, and an unlikely collab that felt like a truly special gift to Colorado music fans. I arrived to the Fox to a synthy mix of “Stormy Seas”; Rhett Whatley, known by his moniker Daily Bread, kicked off his set with the mellow track from his 2018 album On the Daily. He quickly picked things up with “Surprise Ice in the Morning”, emphasizing the song’s bodacious horns; the track is a frequent choice of his for live sets. Throwing it back to Cloud Conductor with his next choice “Cloud Making”, Whatley always gives us a view of the different realms of his discography. Displaying his range with the bass heavy Artifakts collab “Wadsworth Sta.”, Bread had the whole venue in a synchronized head-nod. Sneaking in unreleased edits throughout the set, there was plenty of new material to digest in the live setting for the first time. Whatley followed the collab up with my personal highlight of the set, the unreleased ID from his recently released “Daily Basis | 4 Mix” that starts at 30:57 on the mix. The track is super synthy and the drums are hard hitting and mixed perfectly. To close out the set, Adam Deitch of Break Science came out to lay some live drums over Whatley’s “A Love Like This”. Hands down my favorite Daily Bread set, the performance featured a heaping helping of unreleased music, all of which I loved. Excited to see the finished product of whatever Rhett has been working on. Moving on to Break Science – the heat level was high from the start coming out to “Brain Reaction” from their 2013 album Seven Bridges. Following that up with another vibe setter from Seven Bridges, “Breath of Space”, their dope live version had the crowd bumping early into the set. 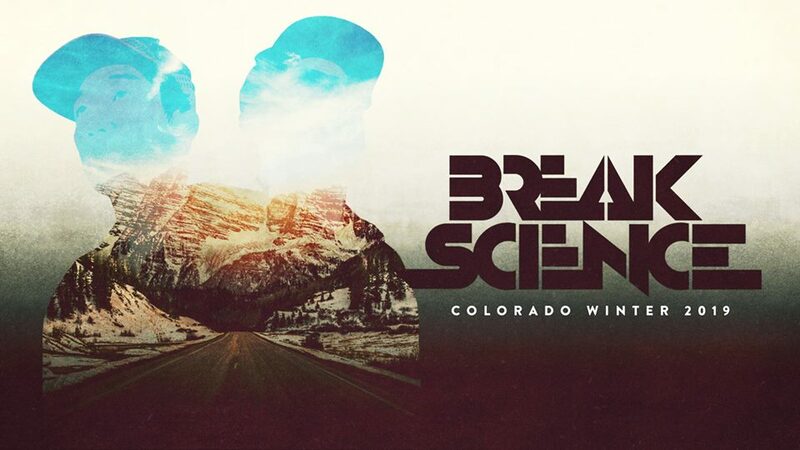 The amount of new/unreleased music in this Break Science set was unparalleled; you can tell these two have been putting their time into creating and developing their sound. One of my favorites would have to be the heartfelt remix of Outkast’s “Ms. Jackson”; you could tell Deitch was feeling it on a spiritual level. Another would be a dynamic unreleased track that contains Lee’s signature high-pitched arpeggiators in a song that we only know as #codedtruth (see Deitch’s Feb 2nd Instagram post). While the set was heavy with new tunes, we still got a healthy dose of tracks from their latest album Grid of Souls, including my personal favorite “Anthemy Mason”; Deitch hit a fire solo during the track that didn’t go unappreciated – they also went into the Late Night Radio remix with all it’s groovy scaling. Never leaving out the chance to get us deep in our feels, their live “Force of Nature” is always a hard hitting one. Giving us our fix of Chicago’s ProbCause with “Crazy Lately”, the Break Science boys always keep the hip-hop vibes in their sets high. Deep into the set, the duo threw it back to Seven Bridges once again with “Once in a While” which always has a special place in my heart as one of the songs that initially sparked my interest in their music. That one was followed up by “Android Love”, which the lighting technician went all out for with the green and purple lasers. I love the upbeat energy and heavy edited vocals on the song. The two kept the Grid of Souls train chugging with “Guiding Light”, a highly underrated track that I’ve been bumping steadily since the show. Putting the icing on the cake with their Kendrick x Tycho mashup “Vibe Walk”, the oldie but goodie never disappoints as a closer. While I’ve seen Break Science and Daily Bread a number of times over the past year (or 5), this was top form for both parties. The unreleased tunes were top notch, and the future is looking bright for these guys!